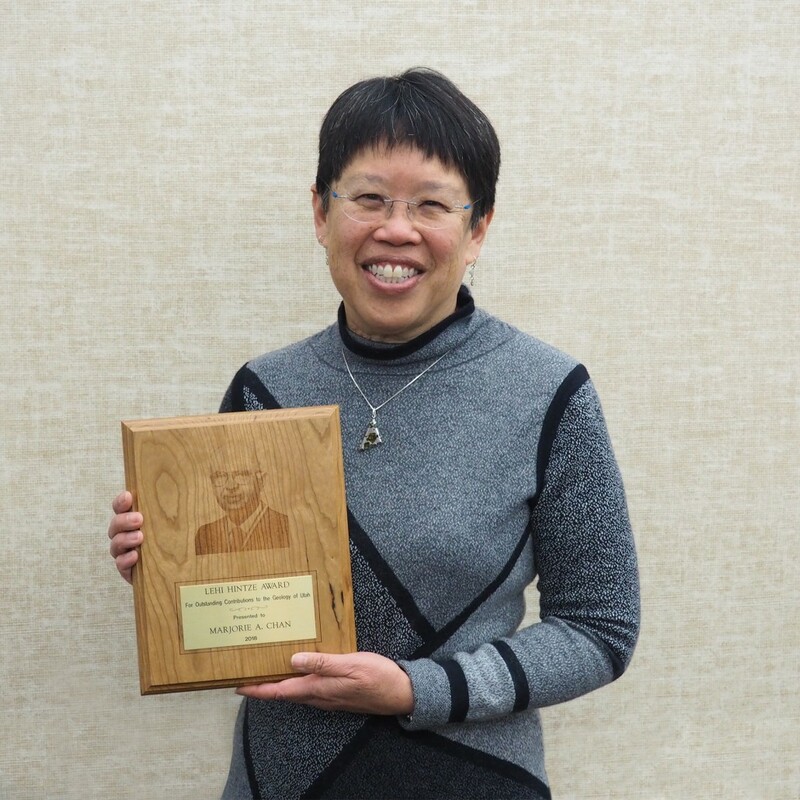 Congratulations to the 2018 Lehi Hintze Award recipient Dr. Marjorie Chan of the University of Utah Department of Geology and Geophysics. 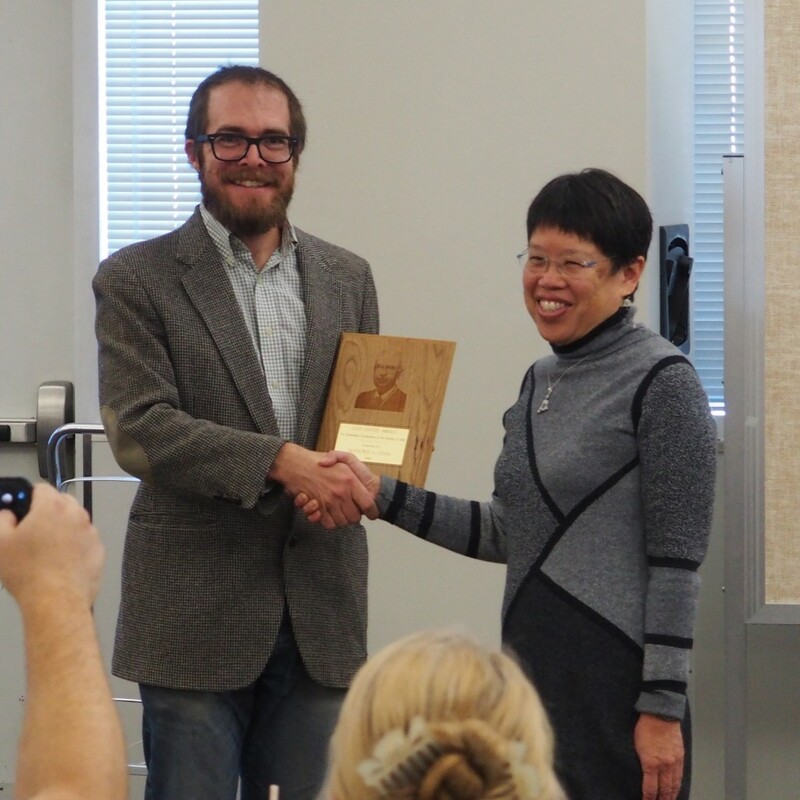 The Utah Geological Association (UGA) and the Utah Geological Survey (UGS) presented the award during a special luncheon in which Dr. Chan spoke on the topics of “Preserving Classic Outcrops, Resources, and Accessibility”, emphasizing the importance of field etiquette and the future of geologic technology. Over her 34-year career with the University of Utah, Marjorie has developed a world-class research program studying rocks across Utah from the Precambrian to the Pleistocene and nearly every period in between. Her work has highlighted the unique geologic opportunities present in Utah, recently using Utah geology to inform Martian geologic discoveries. Her work puts Utah geology on the international stage and at the forefront of the search for life on other planets. Her Mars analog research comes as an extension of her work on the Permian, Triassic, and Jurassic units in Utah commonly seen by the public at many of Utah’s national parks. Marjorie and her students have worked extensively in southern Utah, unearthing the story of these rocks from stages of deposition to diagenesis. Marjorie has made a profound contribution to the geology of Utah through her research, mentoring/education of students, her public and professional engagement, her encouragement and mentoring of women and minorities in geoscience, and her work as an administrator at the University of Utah. Marjorie’s contributions have widely raised the visibility of Utah geology across the globe. Named for the first recipient, the late Dr. Lehi F. Hintze of Brigham Young University, the Lehi Hintze Award was established in 2003 by the UGA and UGS to recognize outstanding contributions to the understanding of Utah geology.